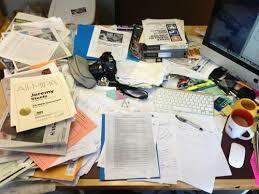 Why do writers tend to be messy? Maybe it's because we tend to be pack rats, maybe we're just drowning in papers, books and notes that we might use "someday." Most of us are working on more then one project at a time, and we have ideas for future projects percolating on the back burner. I like to keep several writing projects going at once and I find it makes me more productive. Right now, I'm working on book 5 of the Talk Radio Mysteries, Death of a Shady Shrink. 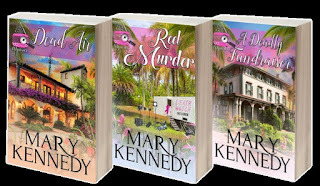 The Talk Radio Mysteries is set in Florida and the protagonist, Dr. Maggie Walsh, is a psychologist-turned talk radio host. Besides working at a wacky station called WYME-ME, she manages to solve a murder in every book. I like to collect travel piece on south Florida, sites I might include in my series, personal notes on "possible" plot twists. This leads to a lot of paper and post-it notes! 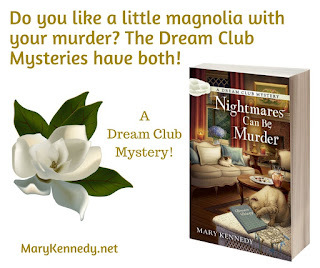 I do the same for my Dream Club series which is set in Savannah. The digital version of the first book in the series, Nightmares Can be Murder is on sale right now for $2.99. But I have other items on my agenda. I write the occasional article on books for USA Today, along with healthy living pieces for Gannett News. And that leads to yet more piles of paper! The only glimmer of light is that a recent study by psychologist Kathleen Vohs at the University of Minnesota shows there can be some benefits to messiness. She did an experiment, published in the journal Psychological Science that seems to show that creativity thrives in a messy environment. Two groups of participants were asked to come up with new uses for ping-pong balls. One group was assigned to a messy office (papers strewn about) and the other in a pristine office. Guess what? The participants in the messy office came up with more creative answers that the other group. 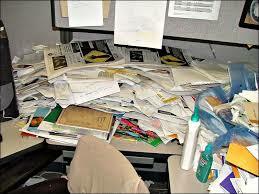 So if your office looks like this, don't despair. It might be ramping up your creativity.